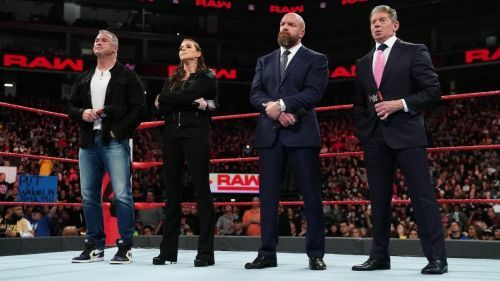 When Ronda Rousey broke Stephanie McMahon's arm at both WrestleMania 34 and the weeks following The Showcase of Immortals, there were no ramifications. However, when Stephanie McMahon was merely attacked by Becky Lynch, she received criticism and a two-month suspension from the CEO of WWE - Vince McMahon. There have been various other instances where the authority figure got attacked by the wrestlers - yet little to no actions were taken against them. The McMahons promised to listen to the fans. In the long run, Becky Lynch may defeat Charlotte Flair and advance to the Raw Women's Championship match and defeat Ronda Rousey to become the new Raw Women's Champion. However, at the moment, things don't look bright for The Man. That is horrifying considering the fact that Lynch has been the single most popular star in WWE since the 2018 edition of SummerSlam. Claiming that they listen to the fans and not pushing the fan favorite definitely qualifies as hypocrisy.